Like many mums, I’m not the best shopper after having children. It’s not that I don’t like nice clothes or fashion, I really do. It’s more that I always feel as if I should make do. There is always something more important to spend money on. The other reason is that, as someone who still hasn’t reached that post-children point where I’m happy with what I see, I always think it’s pointless having anything nice as it somehow feels like admitting defeat and accepting that my body is not going to change. Having spoken to other mums, I know I’m not the only one who feels like this. With this in mind I’ve put together a list of seven items under £70 each that could refresh the wardrobe and bridge that gap many of us mums feel. There’s no reason why we shouldn’t try to feel our best, even if we haven’t reached our end goal. Having a few trustworthy staple items to cover all situations means we are always prepared, Lyst have some great ideas to inspire you if you are in a bit of a rut. Jumpers can be a great addition to your wardrobe in the Autumn and Winter months. A brightly coloured jumper can make you feel happy and awake, even on a dark Monday morning. Of course they are also cosy, and snug. If you are looking for a jumper that can be dressed up or down, ASOS have a lovely Jumper in Chunky Knit with Lace Up Detail for £30.00 – I really like this as it’s a bit different and could be made casual or a bit dressy if needed. 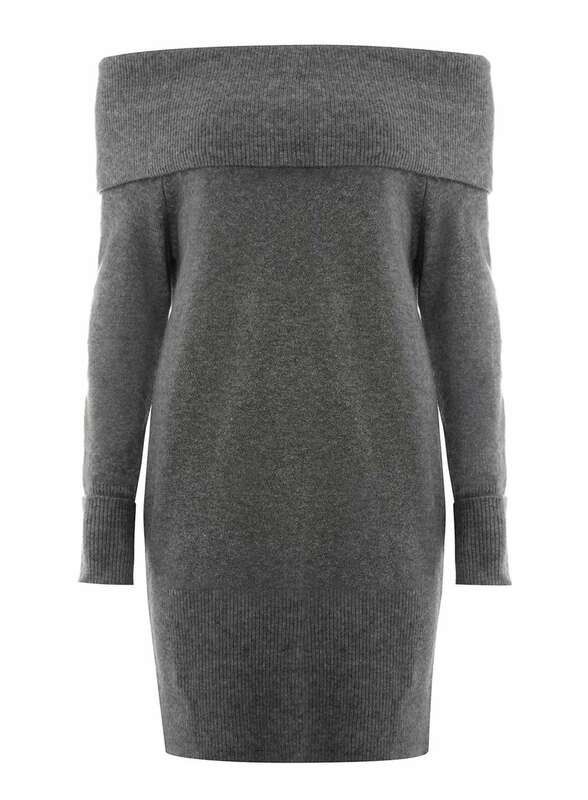 Another jumper that could be dressed up or down is the Ribbed Longline Bardot Jumper from Dorothy Perkins. This could be worn with jeans or leggings, the off the shoulder style makes it a bit more dressy, but you are still cosy inside this big winter jumper. 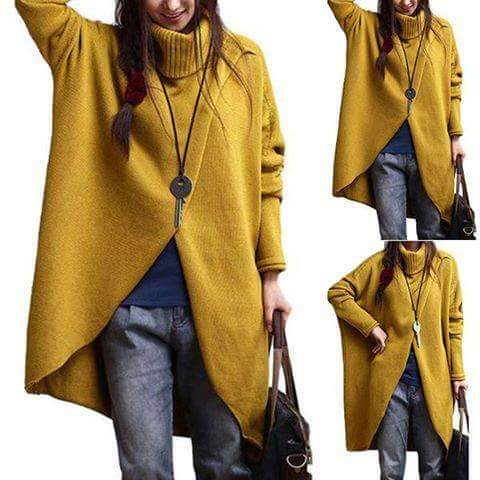 I absolutely love this Yellow Turtleneck Asymmetric Hem Long Sleeve Sweater £27.30 from Rotita, these come in a range of colours but the yellow is my favourite. These are really cosy, great to wear on a cold, but dry day when you don’t fancy wearing a coat. You could even where this when pregnant or breastfeeding because of the style. I wish I had seen these back when I was still breastfeeding. I always find things like vest tops and t-shirt type tops a must-have the whole year around, but something like the Laura Woven Ruched Sleeve Wrap Front Blouse from Boohoo would come in really handy I think. This could be used for work, or an event or just when you need to be a bit smarter than normal. This is priced at £20.00 and comes in black, baby blue and white. My tendency is always to go for the black option, but it looks great in all three colours. I love dresses,especially in the winter with thick tights and boots. 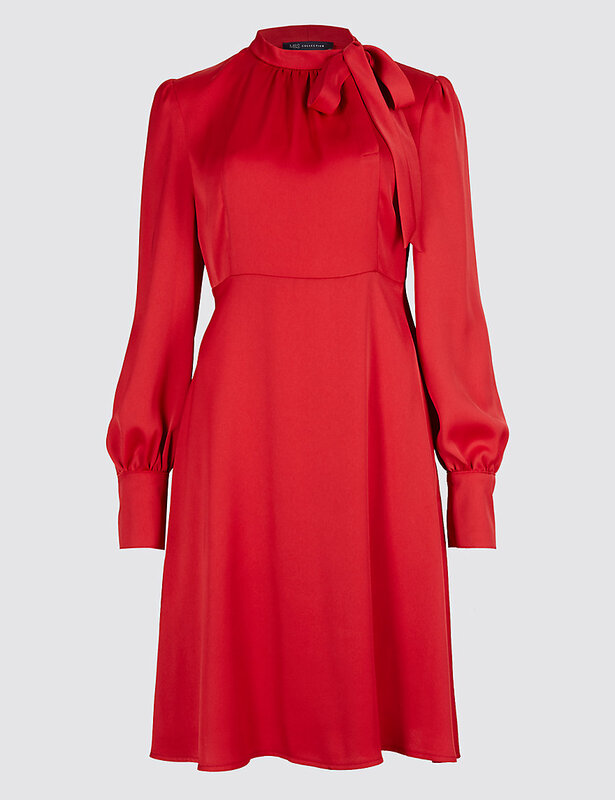 There are some lovely long-sleeved dresses around at the moment, including this Red Long Sleeved Midi Dress from Marks and Spencer. Red is a great colour to brighten up those winter days, and of course super Christmassey too! This is priced at £35.00. If you are looking for something a bit more casual, what about a shirt dress? There are some lovely shirt dresses around, tons of colours and styles to choose from and depending on the fabric, some are more casual than others. Depending on how you feel and what you are up to you can wear with tights or leggings. These are great to wear with children around as they tend not to show up when you’ve had a mucky face or hands down you and they wash really well. Esprit have a nice selection of shirt dresses, including a Black Shirt Dress with a belt, 90cm in length and currently on sale for 45€. We all need a trustworthy pair of jeans we feel good in don’t we? If I am totally honest I find all the styles quite overwhelming and I loathe shopping for jeans. There are so many different cuts, I think it can be hard to choose what is best, without trying them on. I haven’t bought jeans from Boohoo before but it turns out they have quite a collection, including the Jess Mid Rise Ripped Jeans for £25.00. These look as if they’d go with most things and again, could be dressed up or down, which is useful for a pair of jeans. What items of clothing will be seeing you through Autumn and Winter this year?